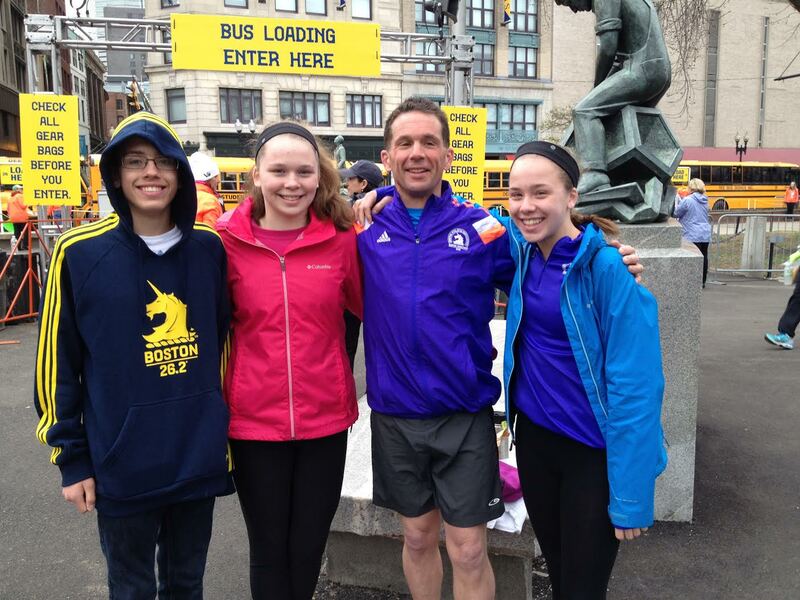 We spoke to Doug Stevenson, Principal of Kistler & Knapp Builders, about his experience running the Boston Marathon this past Monday. BDG: How was the race? What the overall experience like? Stevenson: It was good I had a good run … the weather was tough with the rain and wind. At the time, it took its toll. I felt great running, but the last 5K was a struggle. Stevenson was all smiles at mile 8! Stevenson: I qualified for next year at 3 hours, 27 minutes, 59 seconds – I actually beat my qualifying time for next year. I was pleased with that. Stevenson: I trained all winter outside in the snow and cold, and that helped me get prepared. I had an 18-week training plan with long runs on the weekends and shorter runs during the week. It went well – I always felt good. I was happy it wasn’t hot on Monday, but I could’ve done without the rain. BDG: Did you run for a specific charity? If so, tell me a little about that. Stevenson: Since I qualified I didn’t run for a charity. My goal over the years was to qualify for this year. If I didn’t qualify, I would’ve done it for a charity. 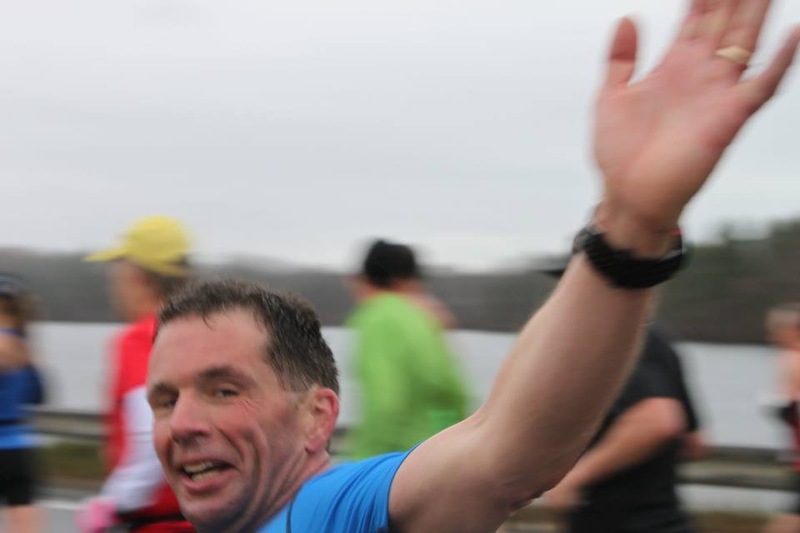 This is my first Boston marathon. Stevenson: I've been running marathons for 4 years now, and I just qualified this year. BDG: Is there anyone else in the design community that you know of who ran in the race? Stevenson: I had a number of friends that ran, but I didn’t see them while running. I was in a different starting space. BDG: What's your next competitive race? Anything planned? Stevenson: I'm running the Big Sur marathon on Monday in California – 80-90 degree temperatures there. A few of my friends entered the Big Sur Challenge – after qualifying for the Boston Marathon, you can get in a lottery to run in this race.